THE COMMITTEE ROOM: TCR Recommends -- "The Play That Changed My Life: America's Foremost Playwrights on the Plays That Influenced Them"
The book was conceived by Howard Sherman, who was at the time of the book's creation the executive director of the American Theatre Wing, the group that sponsors the Tony Awards and supports other theatre related activities. In the foreword, Sherman explains that the book came about because "I wanted to know about the people in my business -- what instilled a love of theatre in them, what sparked their passion for theatre, how did they come to be who they are?" 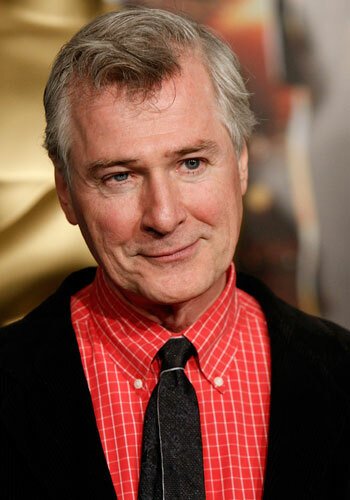 Sherman's own life changing theatre experience occurred when, as a high school student in 1979, he saw Buried Child, Sam Shepard's wild tale of a dysfunctional family, at the Yale Repertory Theatre. The searing production, Sherman says, led him "out of the drama club repertoire of The Odd Couple and Bye, Bye Birdie." In a short introductory paragraph Edward Albee, arguably America's most eminent playwright, relates that his connection to the theatre was forged at age six with a visit to the musical extravaganza Jumbo, starring Jimmy Durante and an elephant, at New York's now long gone Hippodrome, in the mid-1930s. "I think what hooked me -- and this was long before I knew it had hooked me -- was the total unreality of the experience becoming absolute reality. The absolute suspension of disbelief which took my six-year old mind by storm," Albee says. In the main introduction, Pulitzer Prize winning playwright Paula Vogel (How I Learned to Drive) says that a childhood television viewing of Mary Martin in the musical Peter Pan "reinforced my resistance to all the conventions of being a girl...I knew, having watched Ms.Martin, that girls too could crow. 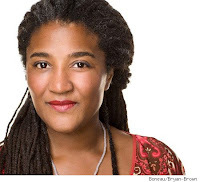 Girls could be brave...If girls could be brave and crow, we could grow up to be playwrights." Later, when Vogel was a young dramatist starting out in New York, a 1978 Off-Broadway production of Fefu and Her Friends by Cuban-American playwright Maria Irene Fornes, in which the audience is divided into groups in order to watch separate scenes, reinforced Vogel's commitment to pursuing a life in the theatre. "I could feel every assumption I had about what made a play being shattered," Vogel says. "I left the theatre realizing that plays could be written that were not cognitively understood, but emotionally felt." Here is a sampling of playwrights discussing the plays that changed their lives. David Auburn (Pulitzer Prize winner for Proof): A PBS American Playhouse telecast of John Guare's black comedy The House of Blue Leaves, based on the 1986 Lincoln Center revival. Auburn saw this telecast as a teenager in Arkansas in 1987. "I still have the tape I made of the broadcast," Auburn says. "Watching it again now, and rereading the play, it is clear The House of Blue Leaves is about ambition -- about fame, and the hunger for recognition and success. But this is not what struck me at the time. It barely registered. What registered -- and it was with real shock...was the play's sheer, overwhelming exuberance. I had never seen a 'serious' play with such an utter lack of solemnity or restraint...Nor could I figure out how to reconcile the play's overflowing high spirits with the despair at its core...The House of Blue Leaves is a despairing play. All the characters are grievously afflicted by illness and terror, beset by humiliations and frustrated longings of the most agonizing kind. How was it that this darkness coexisted alongside such loony hilarity...?" Jon Robin Baitz (author of Other Desert Cities, The Substance of Fire; writer for television series Brothers and Sisters, The West Wing): At age twenty-three in the early 1980s, reading David Hare's Plenty, a sardonic look at modern Britain seen through the eyes of a passionate young woman. Baitz writes -- "The day I read Plenty, I was left shaken by the seemingly limitless theatrical possibilities it presented. I finished the play, quietly awed by the weird joy of recognition that [Hare]...had found a singular path through the gooey earnestness and empty hectoring which have, more often than not, made politics on stage embarrassing to behold...Hare's writing was rigorous, his people singularly articulate, and the combined effect was, to me, magically theatrical." 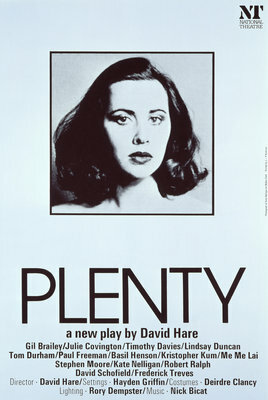 Plenty had a relatively short run on Broadway, despite mostly good reviews. Baitz calls this "all the proof I needed that Broadway was no longer the venue of choice for contemporary drama." Nilo Cruz (Pulitzer Prize winner for Anna in the Tropics): Hotel cabaret show at a Cuban beach resort that he saw as a nine-year old in the late 1960s. Cruz writes -- "And that was the first time I saw live entertainment...It was astounding. Intoxicating. Imagine being a little boy and being exposed to this energizing and powerful music, and all the colorful images coming from the stage...So when I went back home, I gathered some friends from the neighborhood and I put on a show on my grandmother's patio." As a student at Miami-Dade College in the late 1970s Cruz had what he calls a "second epiphany" when he directed a production of Mud, a surrealistic tale of a backwoods family, by Maria Irene Fornes. "I just adored the economy and rhythms of the language," Cruz writes. "I loved how cinematic Mud is, and the theatricality of the piece." Christopher Durang (The Marriage of Bette and Boo, Best Play Tony Award winner for Vanya and Sonia and Masha and Spike): Original Broadway productions of the musicals How to Succeed in Business Without Really Trying and Carnival! both of which Durang saw as a thirteen-year old in 1962. Durang writes -- "Where How to Succeed was shiny, funny and brittle, Carnival! was sweet, touching." Durang says Carnival! remains one of his favorite musicals. Of How to Succeed's original leading man, Robert Morse, Durang recalls "[As] a thirteen-year old, I just adored him, and found him so funny yet also endearing.You just rooted for him as an actor...his goofy charm was just right for the show." Horton Foote (The Trip to Bountiful, Pulitzer Prize winner for The Young Man from Atlanta; Academy Award winner for screenplays to To Kill a Mockingbird and Tender Mercies): Ibsen's Hedda Gabler and The Master Builder, both starring Eva LeGallienne, at the Biltmore Theater in Los Angeles, 1933. 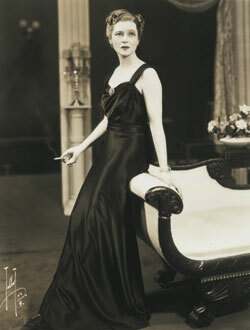 LeGallienne was touring with the Civic Repertory Theatre; Foote was a student at the Pasadena Playhouse theatre school. Of Hedda Gabler, Foote writes -- "They set the play in the late twenties, and I will never forget LeGallienne's entrance, her hair bobbed, wearing a short skirt, and smoking a cigarette. I thought she was extraordinary in the part." Foote was so enthralled that he stayed on to see LeGallienne in an evening performance of The Master Builder. "Though I have seen many plays and many fine productions since, none have made the kind of impression on me that these first Ibsen plays did," Foote writes. Lynn Nottage (Pulitzer Prize winner for Ruined): A children's play, Succotash on Ice, Nottage saw at a community college in Brooklyn when she was about six years old, c.1970. Nottage writes "It really must have made a tremendous psychic impression, because after all these years -- and I have seen hundreds of plays -- I still remember the extraordinary moment when this oversized refrigerator on stage opened up and inside there were talking lima beans and corn, and I was absolutely entranced. And I think that was the first moment that I was seduced by the possibilities of theatre." John Patrick Shanley (Pulitzer Prize winner for Doubt; Academy Award winner for screenplay to Moonstruck) -- A student production of Edmond Rostand's Cyrano de Bergerac at Cardinal Spellman High School, Bronx, New York, 1964. Shanley writes -- "I was on the stage crew...as a result I saw and heard the play repeatedly, and that had a huge effect on me...Here was a poet [Cyrano] who was the toughest guy in the room, and the most terrific guy and the most romantic guy and a freak at the same time. So I really identified with him and the beauty of the language, and I would say that Cyrano was one of the biggest influences on my writing life. And also that relationship of standing in the wings in relation to a play rather than being onstage or being in the audience. Being very close to the material, but at the same time neither the recipient nor the performer. But I was in that third role, I guess, which turned out to be the playwright." Diana Son (author of Stop Kiss, Satellites; writer for the television series Law and Order: Criminal Intent): On a school trip to New York with her Delaware high school English class in 1982, Son saw Diane Venora's performance as Hamlet at the Public Theater. Son recalls -- "The only plays I'd seen were school plays and the Dover Community Singers' productions of My Fair Lady and Fiddler on the Roof. I had no concept of what gender bender casting was, or even what an 'interpretation' was...I was rapt. Seeing Hamlet as a young man but knowing, as if it were a secret, that he was being played by a woman...engaged me viscerally...I was being worked on alchemically. When the lights came up and the actors took their bows, I had the sinking realization that soon I would be on a Greyhound bus on the way back to Dover, Delaware, where there was no theatre. I had no idea when I would get the chance to see another play. And I knew I had to find my way back to the alchemist's lab." The Play That Changed My Life was edited by Ben Hodges, editor in chief of Theatre World. Hodges explains that "I wanted this book to be an opportunity for the most celebrated writers of our time to share their stories as another way for them to inspire the next generation of artists, who, in turn, will ultimately change the next generation of lives." 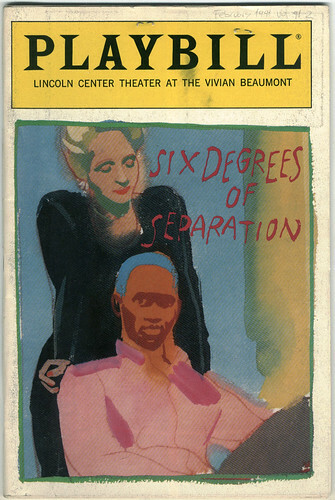 Hodges' life changing theatre experience was, as a teenager in 1990, seeing at Lincoln Center John Guare's Six Degrees of Separation, the story of a young con man who ingratiates himself with Manhattan socialites by pretending to be the son of actor Sidney Poitier. Writes Hodges "Everything, including -- but not limited to -- race, class, and generational conflicts, bombarded my senses." Bomb Magazine. Interview with Maria Irene Fornes (Fall 1984). Collins-Hughes, Laura. Review of The Play That Changed My Life. Critical Difference, 18 February 2010. Healy, Patrick. "Falling, Fallling, Falling, for the Footlight Parade." New York Times, 28 December 2009. Piepenberg, Erik. "Plays That Changed Your Lives." New York Times, 30 December 2009. Superb review. Exceptionally educational. A debt of gratitude is in order for imparting to us. Pretty section of content. I just stumbled upon your wepost and in accession capital to assert that I acquire actually enjoyed account your post posts. Any way I will be subscribing to your augment and even I achievement you access consistently rapidly.